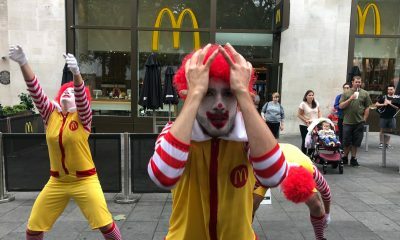 Anyone who has ever stepped foot in a McDonald’s (and there are literally millions of them) knows what they’re in for. 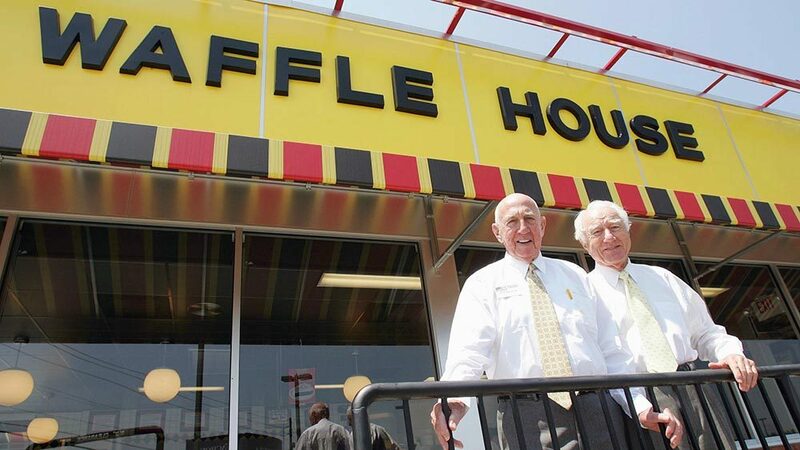 They usually don’t even have to look at the menu to see what they want. They’ve got it memorized, and if there are any new menu items that are intriguing, then they might go for them. 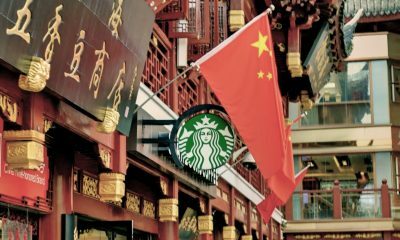 However, McDonald’s is a company that spans the entire globe, and depending on where you are, you’re going to see a lot of different things on the menu. Items that may never have occurred to you can be found in many different countries, often adopting a taste of the region they call home. 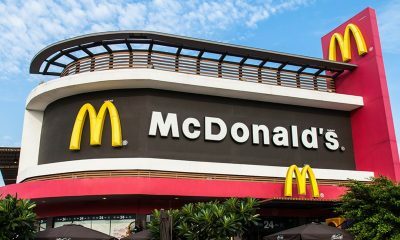 Sure, you can just get your standard burger and fries anywhere, but if you’re a world traveller, one who likes to dine at McDonald’s every once in a while, then you know that there are plenty of insane (and insanely delicious) menu items that you can only fid on the furthest corners of the globe. In fact, if you managed to actually try any of these and returned home, back to the same old McDonald’s you know and love, you may experience a little bit of remorse, knowing that to get that tasty dish again, you’d have to travel hundreds, if not thousands of miles to get back to it. So what exactly are you missing out on in these international McDonald’s? We’re going to tell you. 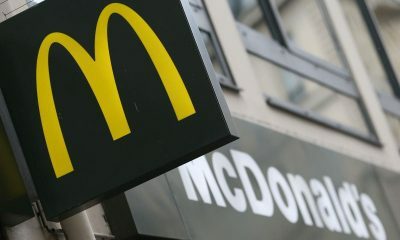 These are the top ten international McDonald’s food items. By now, everyone knows the idea of dipping your fries in your milkshake creates something kind of magical. Years ago, this probably would have got you some weird looks from less than accepting people at the diner. What did they know back then? This flavor combination is something that everyone can agree is a study in perfect contrasts: hot and cold, sweet and salty, potato and ice cream. Okay, those last two aren’t opposites, but the delicious flavor is undeniable. 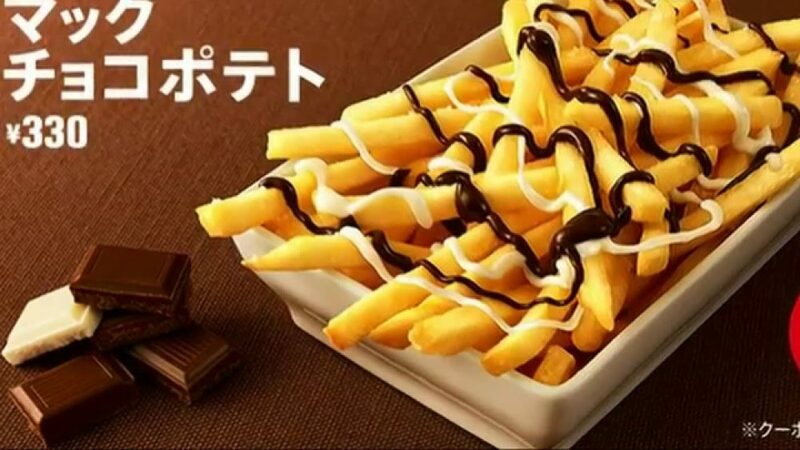 The good folks at McDonald’s in Japan have created a dish that captures part of the fun of milkshake fries in one convenient dish. The McChoco Potato is an order of those perfect McDonald’s fries that comes with white and fudge chocolate sauces on the side for drizzling. While this may sound like an odd combination, there can be nothing gained without adventure. Besides, few things could make McDonald’s fries better, and fudge sauce may just be one of those things. This is one of those things where you shouldn’t knock it until you try it. After all, everyone thought fries in the shake was absolutely insane, then everyone started doing it. The moral of the story is that sometimes fries and dessert should be combined. Not all the time, but definitely sometimes. In the case of McDonald’s fries, pour that chocolate on top! They can only get better. Another tradition that has been brought to life by McDonald’s patrons is the addition of fries to the burger. As some people might say, this gives you more bang for your buck. It’s like your burger gets a little more substance to it with those crispy, hot fries on top. They mix in with the cheese, get that coating of ketchup, and then are balanced out by the tang of dill pickles and the crunch of onion. Basically, it’s the most perfect thing in the world. 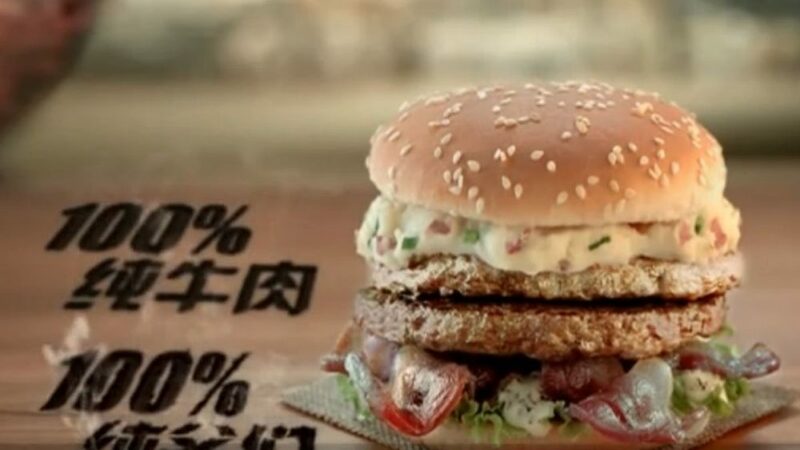 Well, McDonald’s in China have taken the idea of fries on a burger and given it a down home twist by creating the mashed potato burger. It’s basically what you expect: a burger that is topped with mashed potatoes. However, there is so much more to it than just that. There’s also bacon! That’s right, the mashed potato burger isn’t just beef and potatoes, it’s also got the magic of bacon thrown in there for good measure. After all, there is no life without bacon. There is only darkness, depression, and a baconless belly. Those are the saddest things anyone can think of. So there you have it, the mashed potato burger. It’s all the things you could want in a meal: meat, carbs, more carbs, and bacon. If there is a more perfect union than that, we don’t want to know about it. Who says that the best things from McDonald’s have to be burgers and fries? Sure, there are a lot of greta burgers available from the golden arches, and those fries… Well, we don’t have to say how good those fries are. We’re all well aware of the deliciousness of McDonald’s fries. However, there are always other options, things to try that may take you out of your comfort zone, and that’s always a good thing. In India, one of those items is the McCurry Pan. What is it exactly? Well, it’s a delicious vegetable curry, that is served in a special bowl. What makes the bowl special? It’s made of bread! That’s right, you can totally eat the bowl. 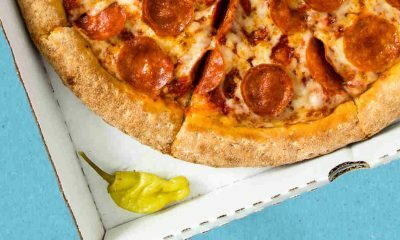 This sort of innovation is something you might think that only dominos or Tim Horton’s could come up with, but it’s just not true! Not only do you get a hearty vegetable curry, that will fill you up and satisfy your taste buds, but you also get a huge chunk of bread to dip, eat, and enjoy. There aren’t a lot of things in this world that can really bring pure unadulterated joy, but getting to eat your dishes is one of them. 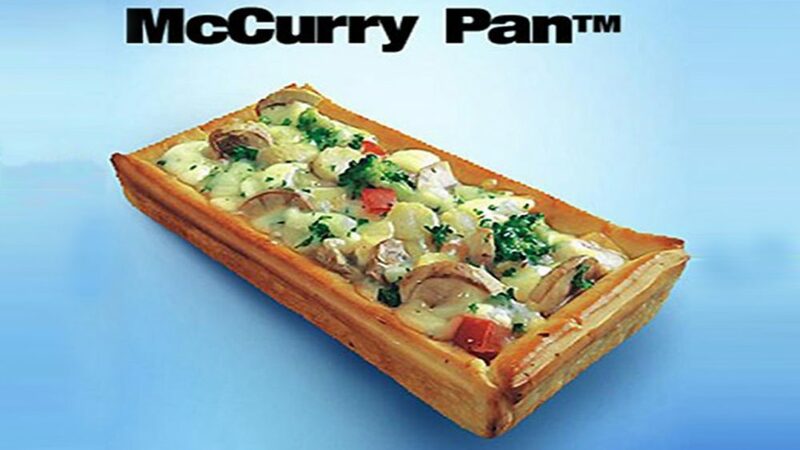 If you ever find yourself in India and are looking to try something different (but familiar), then you should definitely go for the McCurry Pan. The McFlurry may be a ripoff of the DQ Blizzard, but let’s be real here: It’s still delicious. You’ve got that classic McDonald’s soft serve mixed with all kinds of toppings like Oreos and M&m’s. However, venture further from home and you’ll be able to find some pretty crazy McFlurry flavors. One of the weirdest and probably sweetest McFlurry flavors can be found down under. In Australia, the signature McFlurry flavor is Bubblegum Squash. Now, it’s not what you think. This is not a McFlurry made from autumn vegetables and Hubba Bubba. Squash in Australia is slang for marshmallows, and the McFlurry is chock full of them. IT is then topped with a blue bubblegum flavored sauce. Now, this may sound kind of crazy. Okay, it actually sounds downright insane, like far too much sweetness, so much sugar that it could kill you with one tantalizing spoonful. However, it’s got to be better than some other things that you could eat for dessert right? At the very least, it would be worth one exploratory taste, and who knows? It could end up being your favorite dessert of all time. You never know until you try. 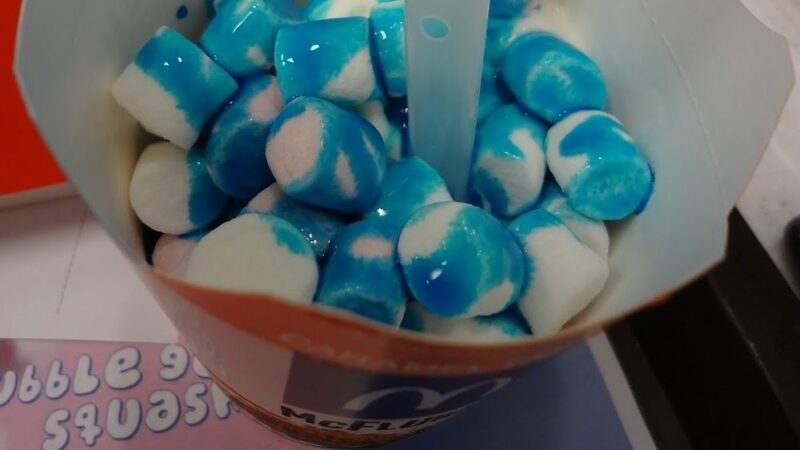 So if you ever find yourself wandering around Sydney and looking for a cool treat to try, why not give the bubblegum squash McFlurry a shot? If you thought that chicken was the only food that McDonald’s could nugget, well you’re way off base. Let’s take a little trip to Italy, shall we? What a country! So much history, so much culture, and the food! Let’s not get started on the food. Pizza, pasta, seafood, Italy has everything you could ever dream of eating in one place. One thing you’ll find in Italy that you would find anywhere else is ,of course, McDonald’s. One thing you’ll find at those McDonald’s locations you won’t find anywhere else though, are the spinach and parmesan nuggets. 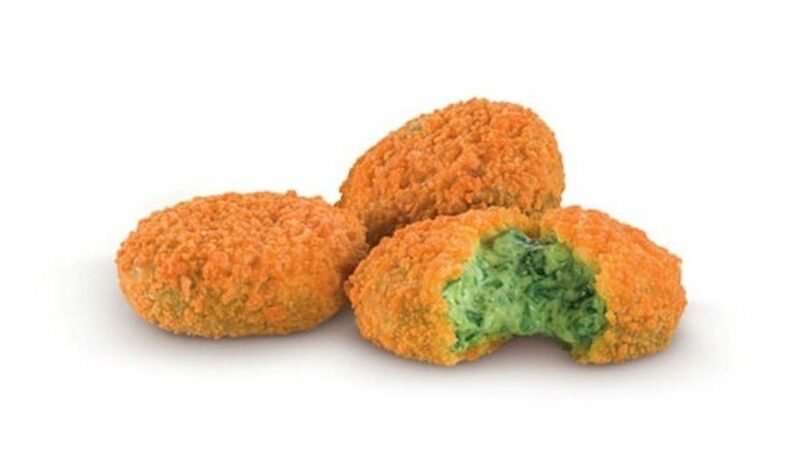 Oh that’s right, Italy took two delicious things that go great together, spinach and cheese, and combined them together in one flavorful, cheesy, melty nugget. Now you can consider your nugget option if you ever find yourself in Italy, which means you’ll probably end up having a much better trip. You can eat these nuggets anywhere: the leaning tower, the colosseum, the Trevi fountain, you name it! You can even eat them while touring the Italian countryside and visiting some of the famous vineyards and wineries there. We’re not really sure what the wine pairing for these nuggets would be, but that just means you’ll have to try out all of them. And once you’re full of wine and out of nuggets, there’s only one obvious option: more nuggets, and more wine! Surf and turf: the most succulent of flavor combinations. First you got the surf: delectable and meaty lobster, or flavorful, tender shrimp. Then comes the turf, and there’s only one meat that gets that designation: beef. Whether it’s a hearty steak or a nice ground beef patty, the combination of these two amazing foods is undeniably delicious. So what did McDonald’s in Korea do? Well it combined them of course, into one delicious amazing concoction known as the Shrimp Beef Burger. Can’t get more straightforward than that! What is on this amazing sounding sandwich you ask? Let’s break it down. 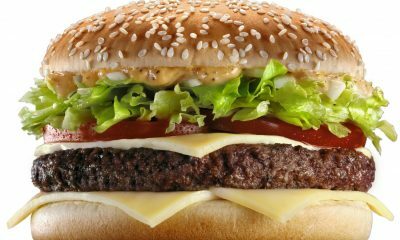 First, you have your standard McDonald’s burger patty, plus lettuce, tomato, and onion. Then underneath that beef patty, the magic begins. Included on this sandwich is a fried shrimp patty, nestled cozily at the bottom. This is the kind of sandwich that a madman might order, but soon after everyone would realize that maybe they were the insane ones for not thinking of something like this sooner. How much more protein do you need? Not only that, but by combining two distinct meat flavors and textures, you end up with a taste combination that might not be attempted anywhere else in the world. This is definitely something you have to try if you ever find yourself in Korea. You certainly owe it to your tastebuds for making the trip. You’ve been there before: you wake up on a Sunday morning after a full weekend of partying, feeling a little less than fresh, and in need of something satisfying to fill your stomach. So you head into the kitchen and you start making yourself a nice bowl of pasta. Suddenly, your roommate points out how ridiculous it is to eat pasta first thing in the morning. He says you’re going to McDonald’s instead to get some of that delicious breakfast. Then you think to yourself “wait a minute, why can’t I have both of these things? That would certainly satisfy the raging hunger monster in my stomach.” Well, the good news is that you can get both of those things at McDonald’s if you happen to find yourself in China. 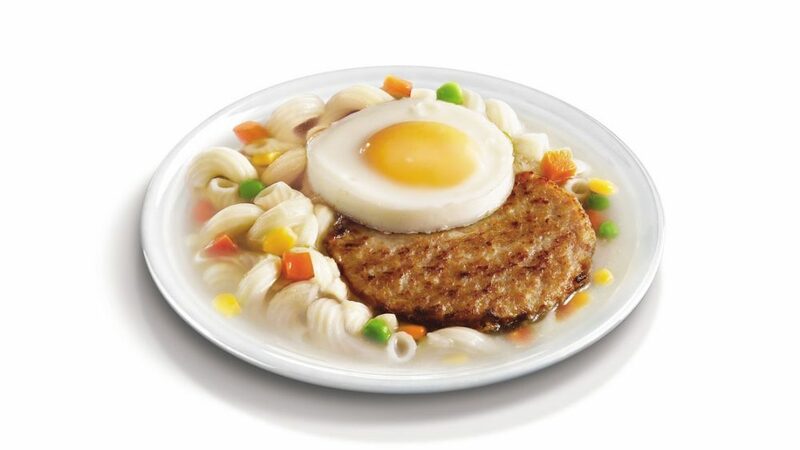 That’s right, McDonald’s China has the twisty pasta breakfast. What is that exactly? It’s a hearty noodle soup (featuring the aforementioned twisty pasta), topped with an egg and one of those famous McDonald’s sausage patties. It’s the kind of breakfast that will either fuel you for a long day of productivity and getting things done, or keep you energized while you play 12 hours of video games. There’s no judgement here. Both of those things require energy, and the Twist Pasta Breakfast is something that will provide that in spades. Macarons have been brought into the spotlight recently due to their photogenic appearance and the general need for people to ogle food on the internet. These delightfully colorful cookies made from creme and meringue are truly delicious, and often you’ll find them at fancy French bakeries. However, you can also get them somewhere else. 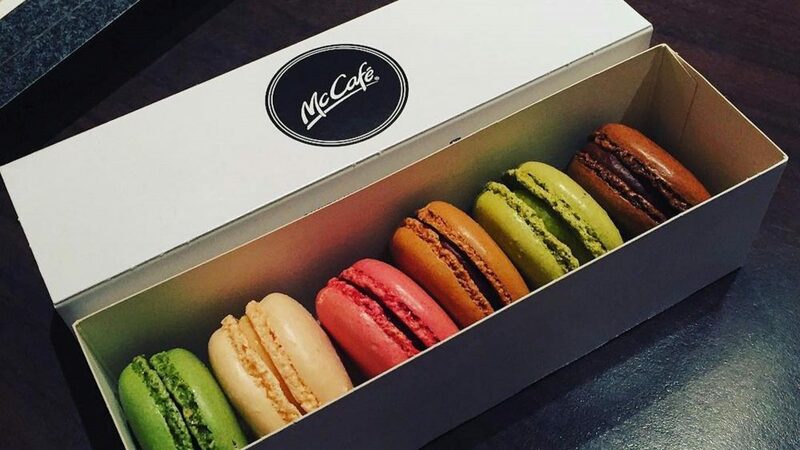 We’ll give you a hint: it starts with an ‘M’ and rhymes with “Rick Ronald’s.” That’s right, McDonald’s in Belgium sells their own macarons. Are they any good? We haven’t tried them, but let’s think about the McDonald’s line of desserts for a moment, and consider what we get from it. First, there’s the sundaes and cones. They are all around delicious and enjoyable, and if the ice cream machine at your McDonald’s happens to be working (which is rare) then they are a delightful treat for a hot summer day. Then of course, adjacent to the ice cream, is the McFlurry. The DQ Blizzard aping dessert has been mentioned once before on this list, but it’s worth noting that it’s a pretty fantastic way to cool off and get something like a sundae, but not a sundae. Then, finally, there are the pies. The McDonald’s apple pie famously took a dip in quality after the restaurant stopped frying them, but they are still a pretty awesome treat to have after a burger and fries. So what does all of that say about the macarons? Not much, really, but we’d go ahead and say that there’s no reason not to try them if you ever find yourself in Belgium. While you’re at it, you might as well go ahead and dip those fries in mayo. Now this is a sandwich. Do you think you can get the New York Stack in New York? You can’t! That’s right, it’s only a name. 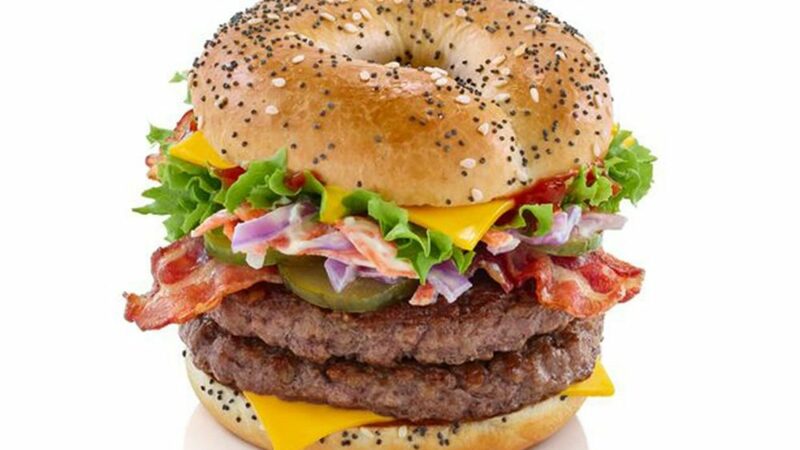 However, this monumental sandwich would fit right in with the other creations McDonald’s has unleashed upon America. Where to start with this piece of art, this wondrous fusion of meat, cheese, and bread? Well, first you have two beef patties. That’s a fantastic start. Then, on top of that, add some cheese. Amazing. Then chunky coleslaw. What?! Coleslaw on a McDonald’s burger? Yes! It’s true! Finally, you have all the accoutrements: lettuce, tomato, mustard, ketchup, and finally… Bacon! Yes! That’s right, bacon. So how do you take a burger this amazing and make it even more incredible? 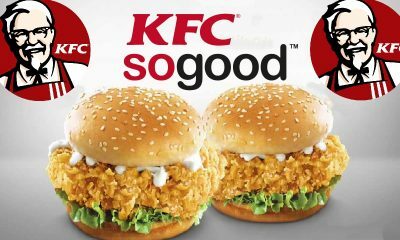 Put it on a bun? Get out of here! 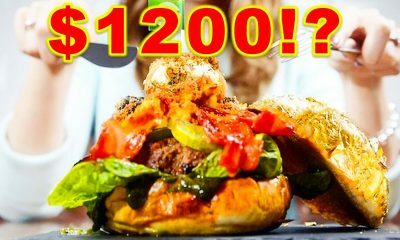 This burger, named for New York could only be served on one thing: a bagel. Yes, you heard it here first. A double bacon cheeseburger with all the trimmings, plus coleslaw, served on a bagel. 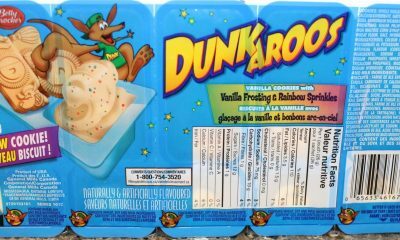 How this never hit the United States, we’ll never know, but it should get imported over to North America as soon as possible. After all, why should the British get to have all the fun? This doesn’t even seem like it fits in with British cuisine, and is obviously an attempt to replicate something that could only exist in the US. Weirdly though, it doesn’t. So it needs to get over here right away! 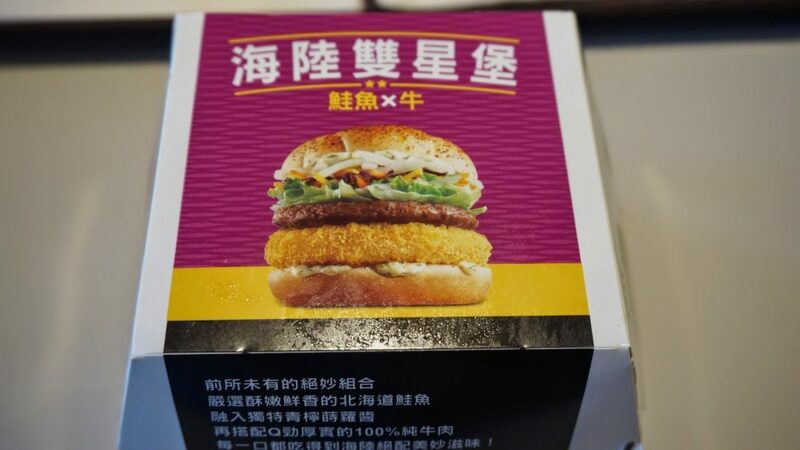 It’s potentially the most legendary of all international food items at McDonald’s, and it’s not even food (well, some people might debate that). We’re talking, of course, about beer. That’s right, if you hadn’t heard the stories already, then hear it here for the first time: you can get beer at McDonald’s. 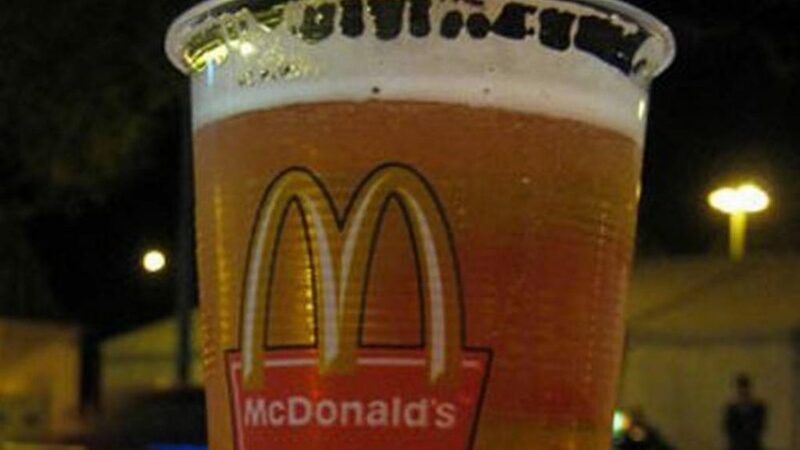 It’s strange, because usually McDonald’s comes after beer, not before it, or with it for that matter. You go out, you drink a lot of beer, then you find the nearest McDonald’s and order a bag of cheeseburgers (not a set number, just literally a bag with as many cheeseburgers as they can fit in it. Now before you rush out the door to get a cool refreshing lager with your quarter pounder, you should be aware that you can only get beer at McDonald’s in European countries. Currently you can get beer in Germany (obviously. What other country would want to have beer everywhere? ), France (oui oui! ), Greece, Portugal, Austria, Spain, Belgium Czech Republic, Sweden, Lithuania, Serbia, Netherlands, Italy (a beer would go really well with those parmesan spinach nuggets, wouldn’t it? ), Switzerland, and South Korea. So if you end up visiting any of those countries, it might be novel to get a beer at McDonald’s. All of them have different kinds of beer that you can get, so whatever your flavor is, you can get it.